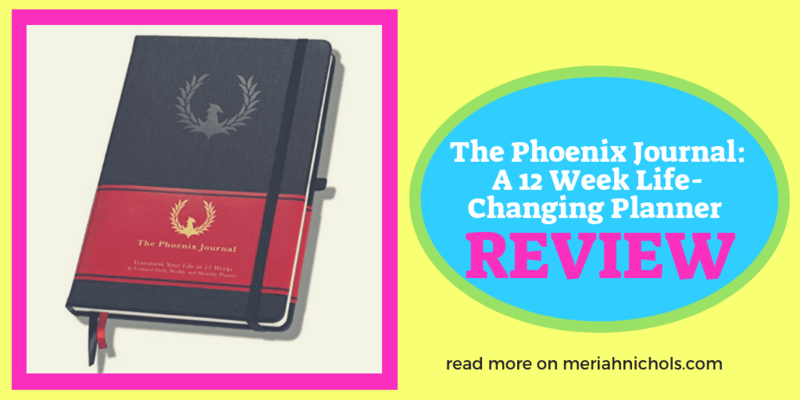 This is a post about The Phoenix Journal – the Daily Calendar & Agenda to Achieve Goals, Boost Happiness & Productivity – Gratitude Journal, Habit Tracker, Roadmap . It is not a sponsored post; I purchased this planner myself and am currently using it. 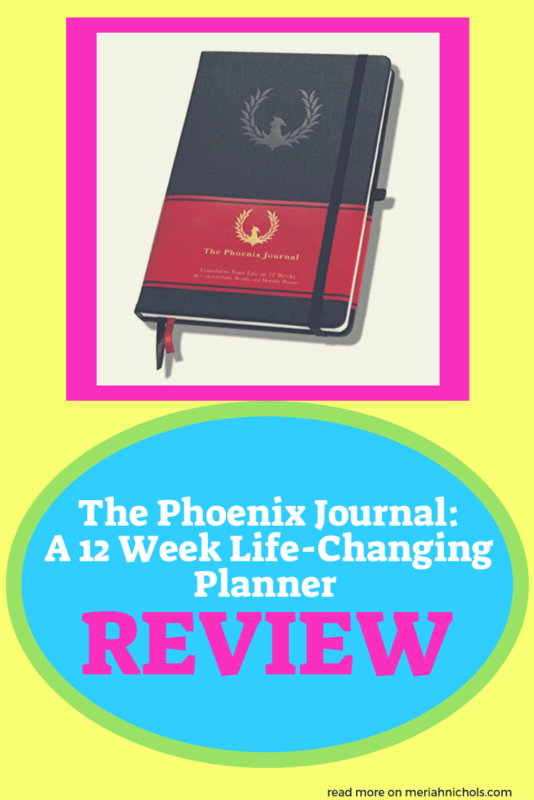 I was originally completely mystified by the whole concept of a 12 week planner. I mean, 12 WEEKS?! And undated, to boot?! Why, I wondered, would anyone want to buy something like that?! …when faced between a decision between a salad and ice-cream, even if you want to lose 100 pounds, the ice cream will often win because the Distance to the Outcome (the taste of the ice cream) is almost zero. Because your reward for eating the salad is 100 pounds away – you have placed yourself at too great of a distance from the desired outcome to compete with the ice-cream. But what if you had a goal that week to lose one pound? That ice-cream suddenly becomes a lot less desirable. The salad looks like it’s about to win. Now what if in addition to your goal for the week you had a goal for that day to eat only 1600 calories? The salad becomes a no brainer. If you eat that ice-cream you will fail to live up to your daily goal, which if repeated will cause you to fail your weekly goal, which if repeated, will cause your vision of losing 100 pounds…to become a distant dream. You break it all down into bite sized morsels so that you can achieve your goals, little by little. Here is a short video of myself talking about the Phoenix Journal, and showing you what it looks like and how I use it. 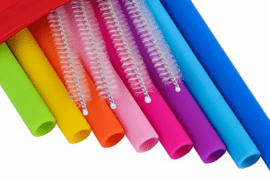 The Phoenix Journal fleshes out your life vision, 3 year vision, and 12 week vision. After writing all of that out, you write out your 4 areas of focus, and then break them down per week. All of this requires at least a couple of hours of focused thought and reflection, but if you know you have an idea of what your goals are, it’s not difficult at all. It’s just a matter of setting it all out so you can see the big picture and how it all unfolds. Benchmarks and checkpoints for your same 4 goals are laid out over the course of the 12 weeks, and then you have 2 pages per day to lay out your priorities for that day and how the day will look for you. There is one blank page. 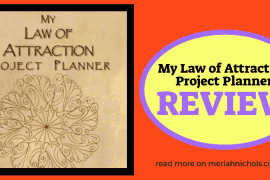 You could use it to journal or reflect upon – I complete the exercises from My Law of Attraction Planner (my review of that planner is linked here) here. I keep my work planner (the Erin Condren Planner) completely separate; only for work (and my review for that is linked here). I don’t have any gripes. I will revisit this after I complete the 12 weeks though. I must note that I was going to say that the price is a lot (the Phoenix Journal is $30), but honestly, I don’t think that’s fair now that I see it. It’s a lot of content they are including in the journal, it’s excellent quality. 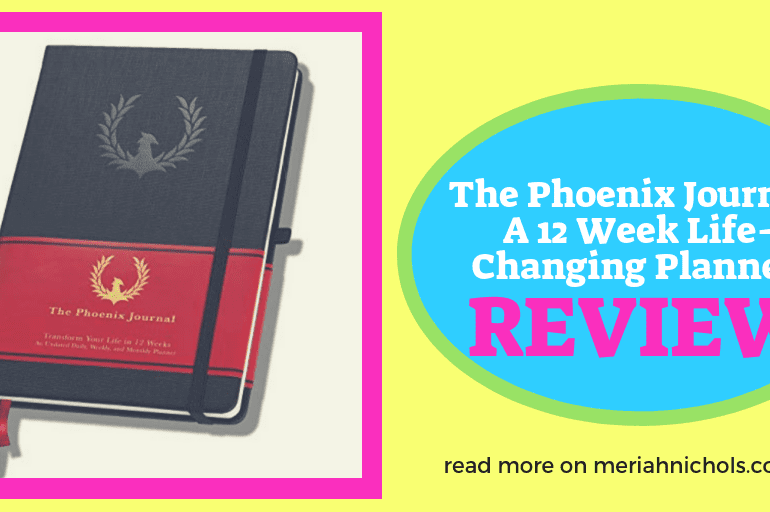 Read More About the 12 Week Year, the Concept Behind the Phoenix Journal! I get it now. You break it all down into bite sized morsels so that you can achieve your goals, little by little. You Ask, I Answer: Why Come Out as Disabled if You Can “Pass”as Non-Disabled?